As the velvet trend makes a comback this fall, I realized that I do not own not even one piece of velvet whatsoever. It's such a feminine touch of luxe for the fall that it made me start to think of ways I could incorporate it into my wardrobe! 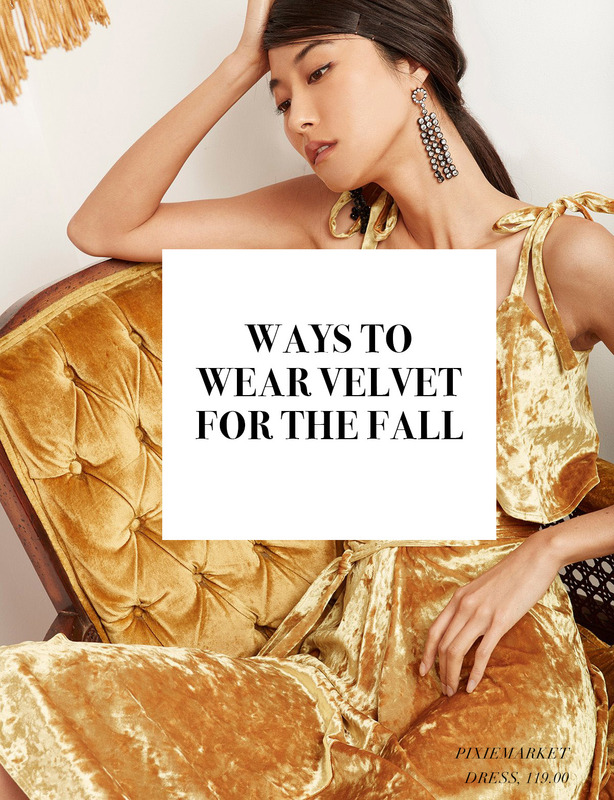 From subtle pieces to wardrobe "IT" pieces, I curated some of my favorite velvet finds that are perfect for fall. What styles do you like the most? Let me know on instagram (@thestyleoffduty) or leave a comment down below!